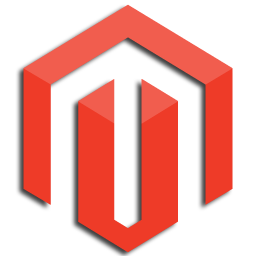 Magento Community Edition is one of the best open source shopping carts. My clients like it, I don’t. I think it’s clumsy to manage, the admin panel is ill thought out, there’s no drag’n’drop interface and it regularly crashes with Internal Server 500 Errors when updated. But this post is about fixing the Magento Internal Server 500 Error that happens when the cart software is updated. Specifically, updating Mage_Downloader causes Megento to crash to ground like a skydiver without a parachute. How can you fix this Magento server 500 error? When the cart software updates modules, it changes a few file permissions and creates a .maintenanceFlag file. When Mage_Downloader updates, it stops before the file permissions are reversed; and sometimes stops before the maintenance flag file is removed. Change the file permissions for index.php from 666 to 755. In the cart’s download directory, change the permissions for index.php from 666 to 755. Reload the admin page or store’s front page in your web browser. It should load now. If it doesn’t, leave me a comment and I’ll help you fix it. Why does Magento make those changes? Simple. To stop visitors from accessing the site while it’s being updated. The .maintenanceFlag file causes the site to display a maintenance mode page to visitors. Changing the permissions of index.php from 755 to 666 stops the index.php files from being executed (run) by web clients.